The Seedstock Barn is a multi-breed collection of breeder and association newsletters assembled in one convenient location. Newsletters provide valuable information into personal producer philosophy and herd management tips. Producer and association newsletters foster the sharing of educational and best practice information vital to improving our most important product, BEEF, in an effort to keep our most important customer, the CONSUMER. Would you like to have your newsletter on our website? Contact BEEF Sales Representative Jay Carlson at jay.carlson@penton.com or call 913-967-1655. 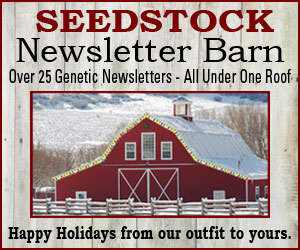 Are you already Seedstock Newsletter Barn partner and want to update your information? Send all your updates to BEEF Senior Associate Editor Jamie Purfeerst at jamie.may@penton.com.